Many Americans think that NHL bets are only be limited to picking which team is most likely to win a game but that’s not true! At the best-rated sportsbooks, there are many NHL prop betting options available to explore. Placing such bets just makes every game so much more entertaining (and, who would’ve thought that the best hockey league in the world could’ve been made better.) On this page, we go into detail about placing NHL prop bets online. We explain how they work and the different bets that you can make online. How Do NHL Prop Bets Work? Assuming that you already know a little bit about betting on the NHL, learning about prop betting shouldn’t be all that difficult. You should already know about basic money line best, i.e. betting on the team you think will win the match. Prop betting goes a little further than this in that you bet on specific events within the game. This includes aspects such as which team is most likely to score a goal first, among others. These bets can even be based on individual players, for example, betting on which player is likely to score the most goals. Futures are probably the most popular form of prop betting. These bets involve determining the odds each team has of winning the Stanley Cup. For example, the Washington Capitals may be given 9/2 odds to win the cup at the beginning of the season. This means that for every $2 bet, players are likely to win $9 in profit. Overall, we recommend that Americans try to focus on making prop bets involving playoff games and the Stanley Cup. As these games already increase excitement due to teams moving one step closer to lifting the championship, placing bets related to games in the period will heighten adrenaline levels even further. The one thing to note about prop betting is that it is more unpredictable than other forms of NHL bets. This is particularly true if you make a bet long in advance. 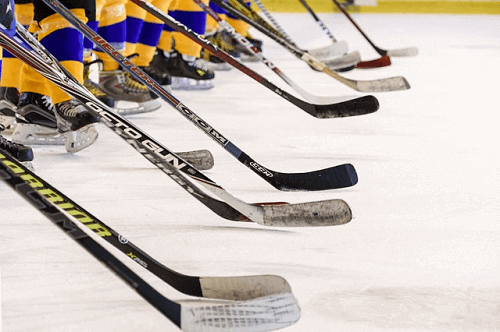 For example, you may place a futures bet at the beginning of the season on the Chicago Blackhawks, who performed extremely well in pre-season games. However, then throughout the season, the team may suffer several setbacks in the form of injuries. It is also important to remember that, as with all sports bets, you need to research before placing the wager. Try not to get involved with too many bets that cannot really be researched, such as trying to predict the colour of the shirt Stanley Cup champions will be wearing. The bet may seem rather funny to place but you’re not really going to see any return on it. Then, also make sure to avoid placing bets that have a low or negative house edge. You may find in the long run that you make no money by doing so, or that your prize is paying more cash in. Overall, we recommend not placing too many prop bets, particularly at the beginning of the new NHL season. We’d say try not to make more than two long-term prop bets to avoid making bets that you see no return on.